The loading and unloading of liquid and gaseous substances to and from moving platforms in a salt laden atmosphere calls for specialised bespoke transfer hoses and couplings assemblies. 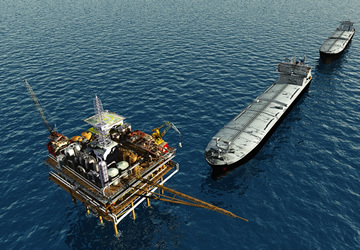 We are experienced in the specification, supply and testing of such assemblies for marine and offshore application. We also host various different classification societies should there be a requirement for testing to be witnessed. A number of recent safety and efficiency innovations have been made available for the marine industry so please contact us for more information.